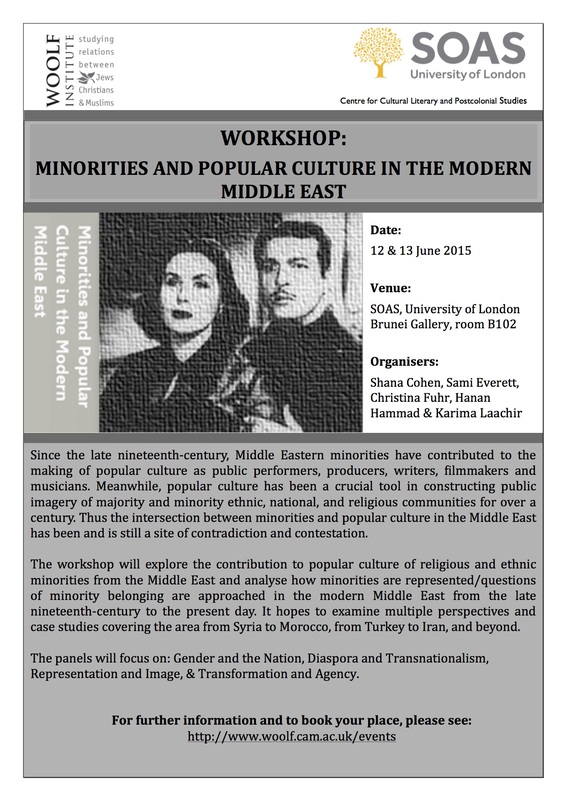 The workshop, hosted by the Woolf Institute and the Centre for Cultural Literary and Postcolonial Studies, SOAS, explores how minorities are represented in the arts in the Middle East from the late nineteenth-century to the present day. The panels: Gender and the Nation, Diaspora and Transnationalism, Representation and Image, & Transformation and Agency. The Film “Jews and Muslims: Intimate Strangers” will be screened followed by Q&A with the filmmaker, Karim Miské.